We appreciate hearing about how you have experienced Value Websites' design and development services. In offering feedback, you may care to focus on one or more of these areas or to reflect something else. We will assume we have your permission to publish your feedback over your first name and/or company and/or website name. Tell us if you would prefer us not to do that. We believe it is to your advantage (as well as to ours) that we publish your positive feedback over your website address. This will help your SEO (search engine optimisation) rankings. It's called "back linking". 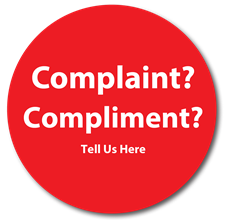 We will publish feedback on this web page. Hi Terry we have just completed a review of our kerbing business to find that since we have had our website up and running we have reached new heights. We have had a lot of inquiries due to the website. We now ask people how they found us and pleasing to say most from the website, with one inquiry saying it was the most professional site in kerbing. I would like to say thankyou for the time and effort that you gave me in achieving the growth of the business. Thank you Terry, great work and thanks especially for being generous in working with Rachel and Janice. We are really pleased with the outcome and look forward to learning how to upload and update. Appreciate your help greatly Terry, we certainly couldn’t have gotten this up and running without you. You have done a stirling job with the bios.... Thank you again for all your hard work. I am delighted to advise that you have been selected as our preferred web site developer. Love your work, a huge THANK-YOU!! Great Terry, that presents really well. Thanks for the little extra bits. Hopefully this will attract impulse buyers since its so easy to buy online. Let me thank you again, for your willingness to help at such short notice. Starting up a business can tend to be a little chaotic. Great thanks Terry all looking very good and can be activated. I have just been back on the website and again Ken & I are absolutely thrilled with it. We love all the ways you have interacted pages, garments etc. Thank you SO much for all the great work you are doing on the website.